Kate Spade Baby Bags – absolutely unmissable! Last year on my trip to New York, I gasped in wonderment upon entering the Kate Spade boutique. There was such a wealth of finely-crafted clothing, wallets and bags that I stayed a while, sat myself down on the comfy lounge and inhaled the Kate Spade aesthetic. It was a moment I’ll never forget – the concept of my own personal style became more strongly defined as I eyed the A-line dresses and immaculate handbags. I also remember my year of style mayhem after having my first child, when I wondered what appearance was suited to a new mum. I pretty quickly realised that I hadn’t changed, one aspect of my life had, and that looking good and accessorising well made me feel connected to myself once more. So when Jennifer informed us that Kate Spade has a new selection of baby bags and accessories, it held some meaning for me and it delights me that mothers can increasingly maintain their style. 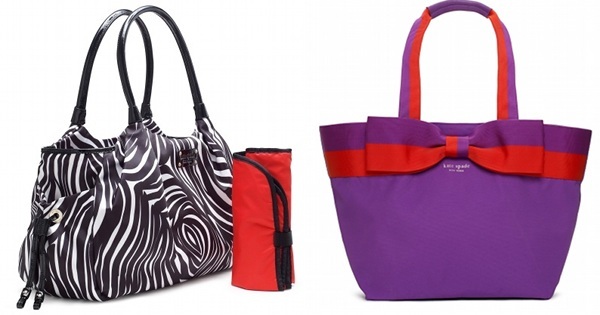 Far from ordinary, these bags will turn heads in the street with bold prints and unexpected colour combos like purple and red. Lovers of black are also catered for with various designs to suit most needs. My favourites are the Splodge Dot Randi (US$425) and the zebra Stevie Bag ($395), such is my penchant for animal print. While the Barrow Street Annabel is a little prim for my tastes, the striking colour combinations most certainly are not so this bag might find quite a broad spectrum of fans! 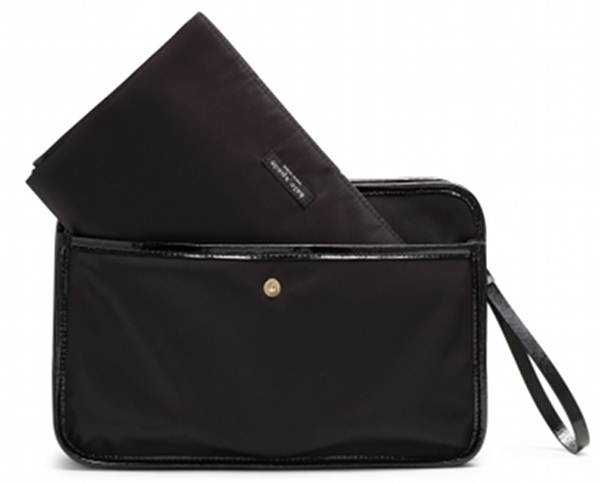 There are also two Toddler Inserts ($195), which are nappy wallets with a change mat inside. Grab it for a quick outing, or take it in your larger bag for a day out. Browse the range at Kate Spade – although they don’t ship internationally, Jennifer tells us she had her bag shipped through Shop Gopher.